GFD Notification 2018. 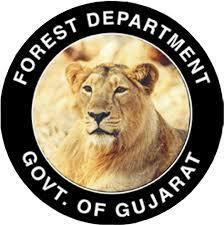 Gujarat Forest Department has released a notification for the recruitment of Forest Guard (Vanrakshak) vacancies. Check the eligibility and notification prior to applying for the positions. Last Date for Submission of Application is on November 28th, 2018. HSC from affiliated university or equivalent can apply for the Forest Guard posts. Minimum 18 years & Maximum 33 years of age can apply for the Forest Guard Posts. As per the rules & regulation by the government, salary is decided for the Forest Guard Posts. The Selection Process will be based on the basis of Interview for the Forest Guard posts. The Applying Process will be based on Offline Mode for Gujarat Forest Department Recruitment 2018. 28th November 2018 is the last date to apply for the posts. https://forests.gujarat.gov.in/ is the link to apply online directly.